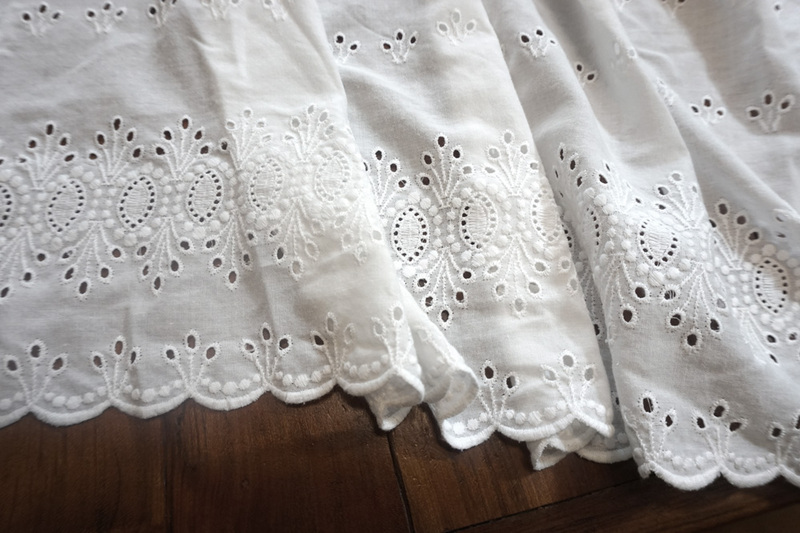 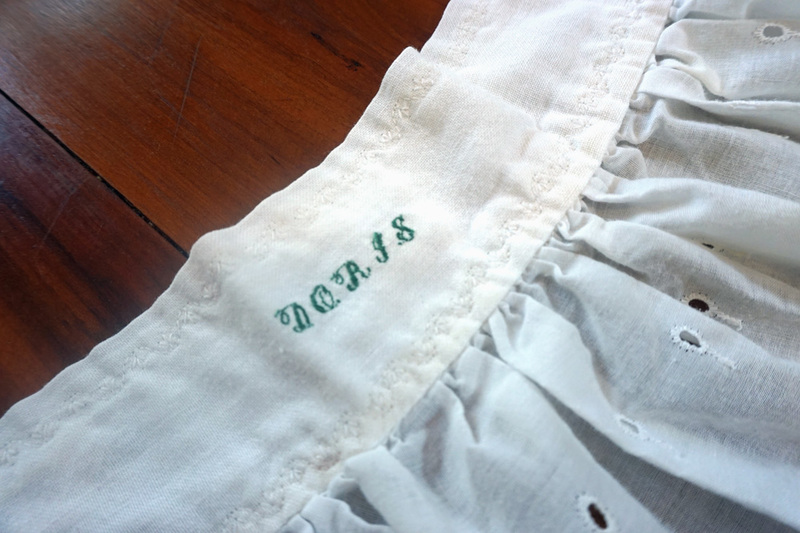 You're just going to love this vintage apron made of white eyelet fabric, especially if your name is Doris since her name is embroidered on the waistband. 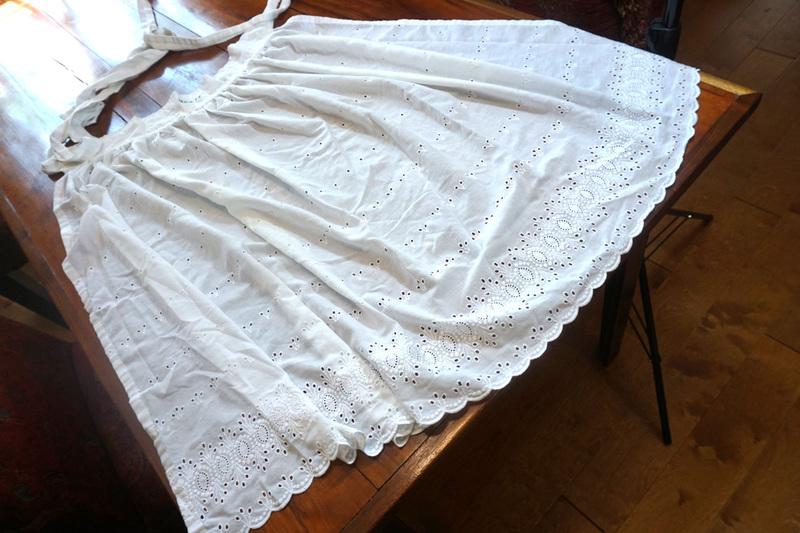 Doris must have been a large gal as this apron is 30" long and sports generously sized ties to comfortably encompass a large waistline. 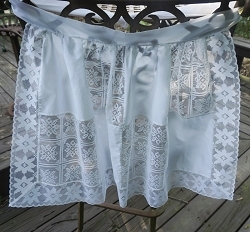 This sweet apron is likely from the 1960's and is in very nice condition.